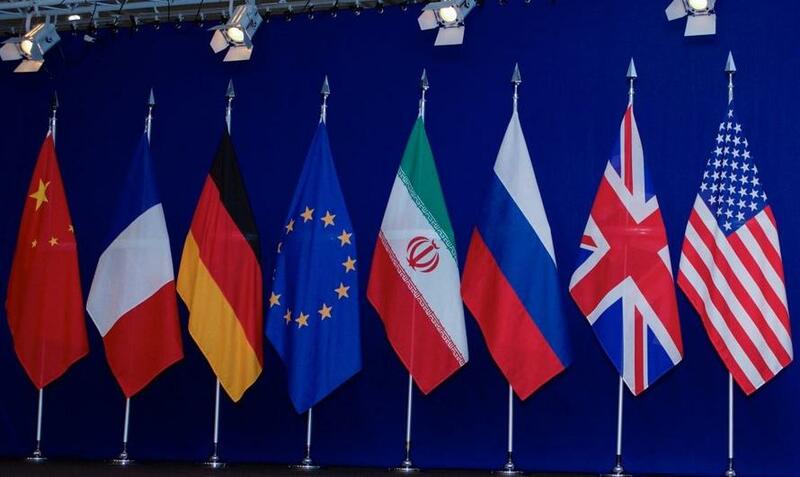 The EU, Russia, China, and Iran will create a special purpose vehicle (SPV), a “financially independent sovereign channel,” to bypass US sanctions against Tehran and breathe life into the Joint Comprehensive Plan of Action (JCPOA), which is in jeopardy. "Mindful of the urgency and the need for tangible results, the participants welcomed practical proposals to maintain and develop payment channels, notably the initiative to establish a Special Purpose Vehicle (SPV) to facilitate payments related to Iran's exports, including oil," they announced in a joint statement. The countries are still working out the technical details. If their plan succeeds, this will deliver a blow to the dollar and a boost to the euro. The move is being made in order to save the 2015 Iran nuclear deal. According to Federica Mogherini, High Representative of the European Union for Foreign Affairs and Security Policy, the SPV will facilitate payments for Iran’s exports, such as oil, and imports so that companies can do business with Tehran as usual. The vehicle will be available not just to EU firms but to others as well. A round of US sanctions aimed at ending Iranian oil exports is to take effect on November 5. Iran is the world's seventh-largest oil producer. Its oil sector accounts for 70% of the country's exports. Tehran has warned the EU that it should find new ways of trading with Iran prior to that date, in order to preserve the JCPOA. The SPV proposes to set up a multinational, European, state-backed financial intermediary to work with companies interested in trading with Iran. Payments will be made in currencies other than the dollar and remain outside the reach of those global money-transfer systems under US control. In August, the EU passed a blocking statute to guarantee the immunity of European companies from American punitive measures. It empowers EU firms to seek compensation from the United States Treasury for its attempts to impose extra-territorial sanctions. No doubt the move will further damage the already strained US-EU relationship. It might be helpful to create a special EU company for oil exports from Iran. To wit, the EU, Russia, and China have banded together in open defiance against unilateral steps taken by the US. Moscow and Beijing are in talks on how to combine their efforts to fend off the negative impacts of US trade tariffs and sanctions. A planned Sept 24-25 visit by Chinese Vice-Premier Liu, who was coming to the United States for trade talks, was cancelled as a result of the discord and President Trump added more fuel to the fire on Sept. 24 by imposing 10% tariffs on almost half of all goods the US imports from China. “We have far more bullets,” the president said before the Chinese official’s planned visit. “We’re going to go US$200 billion and 25 per cent Chinese made goods. And we will come back with more.” The US has recently imposed sanctions on China to punish it for the purchase of Russian S-400 air-defense systems and combat planes. Beijing refused to back down. It is also adamant in its desire to continue buying Iran’s oil. It is true, the plan to skirt the sanctions might fall short of expectations. It could fail as US pressure mounts. A number of economic giants, including Total, Peugeot, Allianz, Renault, Siemens, Daimler, Volvo, and Vitol Group have already left Iran as its economy plummets, with the rial losing two-thirds of its value since the first American sanctions took effect in May. The Iranian currency dropped to a record low against the US dollar this September. What really matters is the fact that the leading nations of the EU have joined the global heavyweights — Russia and China — in open defiance of the United States. This is a milestone event. It’s hard to underestimate its importance. Certainly, it’s too early to say that the UK and other EU member states are doing a sharp pivot toward the countries that oppose the US globally, but this is a start - a first step down that path. This would all have seemed unimaginable just a couple of years ago - the West and the East in the same boat, trying to stand up to the American bully!